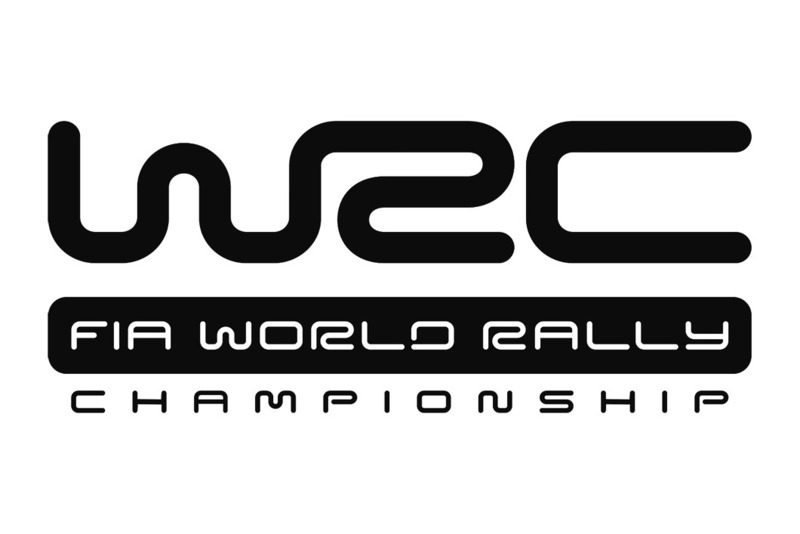 Next week, 555 Subaru World Rally Team drivers Petter Solberg and Tommi Mäkinen will face some of the fastest and most exhilarating roads in the FIA World Rally Championship when they begin Rally Finland, the ninth round of the 2003 series. Previously known as the Thousand Lakes, the event takes place in the country regarded as the spiritual home of rallying. Run amid stunning forest scenery, and round the picturesque lakes that gave the event its original name, thousands of spectators flood to the host town of Jyvaskyla to follow the action. With so many local heroes to support the event draws huge crowds, last year, of the country's five million inhabitants, a staggering 10 percent attended the rally. For the drivers, precision driving and confidence are vital for success on the event's wide, smooth gravel stages. With WRC cars regularly exceeding 200kph, the 'Finnish Grand Prix' as its nicknamed, is renowned for its stomach-churning jumps (or 'yumps' as they're known in Finland) sixth-gear corners and blind crests, all of which make it a stern test of nerves and skill. 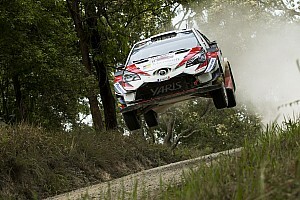 Last year the average speed of the winning car was 120kph, making it the fastest rally in the championship. A technically challenging event, local knowledge has proved a huge advantage over the years. 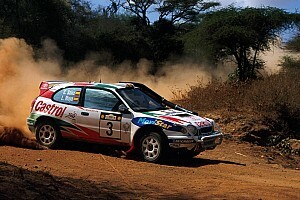 Only two non-Scandinavians (Frenchman, Didier Auriol and Spaniard, Carlos Sainz) have ever claimed victory in Finland, while 555 Subaru team driver Tommi Mäkinen, who lives in Jyvaskyla, won the event an astonishing five consecutive times between 1994 and 1998. In total the event comprises 409.18 competitive kilometres and 23 stages. Commencing on Thursday 7 August with a spectator-friendly sprint around the 2km super special stage on the outskirts of Jyvaskyla, the classic action will start the following day when crews tackle the first stage at 0900hrs. The 555 Subaru World Rally Team will be entering two cars in Finland, which will be driven by Tommi Mäkinen and Petter Solberg. They will both drive Subaru Impreza WRC2003s and both will be eligible to score Manufacturers' points for the team. Mäkinen is a veteran of the event, having contested it 15 times before and with five wins to his credit. Last year he finished in the points, and in 2003, competing in front of his home crowd, he will be looking for a performance to be proud of. Fellow Scandinavian and 555 team-mate Solberg has contested the event four times previously and is looking to build on the podium finish he scored last year. Petter Solberg: "I'm only just starting to feel well again after Germany, which wasn't really such a great event for me. I hope no one else gets the same sickness that I had at the next event - it will destroy their rally! I've been taking time out to rest since I got back to Norway, and making sure that I've properly recharged my batteries before Finland. I really like the Finnish event, it's good fun and I'm hoping for a good result there. I'll be looking out for Markko Martin and Marcus Gronholm who I think may be quite strong, but I'm feeling positive. You have to be very precise on this event and have a lot of confidence before the start. It's quite similar to New Zealand, but there are more jumps and more unseen corners. It will be a challenge, I'm looking forward to it." Tommi Mäkinen: "I'm looking forward to the pre-event test and to getting started on my home event. It's been very warm here in Finland for the last few days, and fairly dry apart from the odd shower. It's hard to say what the weather will be like next week though as it can change so quickly. It would be great to take a sixth win here. I'll try my best, and I know the roads fairly well but many other drivers do too on this event so I'm not sure what will happen. We have to hope that everything comes together and to get a podium finish would be fantastic." 555 Subaru World Rally Team Principal, David Lapworth: "Commitment and confidence are the most important factors in Finland. 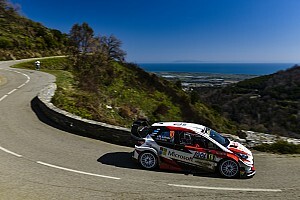 The event's mixture of hidden bends and blind crests on fast undulating, smooth stages make a drivers trust in his pace notes absolutely vital. On many sections the drivers are absolutely flat out, and with more high-speed fifth and sixth gear corners in this event than in any other in the Championship, it's essential for drivers to remain committed. If a driver lifts off the throttle unnecessarily, or hesitates going into a bend, he could lose 5kph and it could take another kilometre or so to get that momentum back again. In Finland I think it's not how fast the drivers can go, but how fast they think they can go. Confidence is key, which is why the local drivers do so well. "In light of this, the set up of the car for Finland is completely focused on giving the drivers confidence and performance at high speed. Compared to last year's car, the Subaru Impreza WRC2003 features a revised suspension system and new aero package, which will enable it to handle jumps better and be more competitive at high speeds. This is the first gravel event since recent refinements were made to the engine and electronics, and we've also adjusted the dampers, springs and roll bars so the car feels balanced and has good high speed stability." This year's Rally Finland will be a special event for the 555 Subaru team as it was here 10 years ago, that the Subaru Impreza made its rally debut. With a two-car entry for Ari Vatanen and Markku Alen, the Impreza clocked up its first podium result straight from the box, and has since gone on to be the driving force behind 35 WRC victories and five World Championship titles. The team will commemorate the 10th anniversary with a special function and photo-call at the Subaru service area on 6 August, to which all FIA accredited media are invited. Ari and Markku together with other key members of the 1993 team will be on hand to help celebrate the success of the Impreza. Visit www.swrt.com <http://www.swrt.com> for a comprehensive archive of copyright-free images from the last 10 years, and a Q&A with David Lapworth. While taking time out to recover after Germany, Petter has been spending time with his son Oliver before leaving for Finland. When we caught up with Petter, the pair had just polished off a couple of ice creams in the park and were on the way to the swimming baths for a splash around before tea. It's been a busy week for Oliver, who's showing more and more signs of following in his father's footsteps - even at 21 months old! On Monday his dad brought him a small quad bike - (in metallic blue naturally) - which he's been riding round the family's farm in Norway. Petter's been offering expert tips for a couple of hours each morning, and then again in the afternoon after Oliver's afternoon nap. 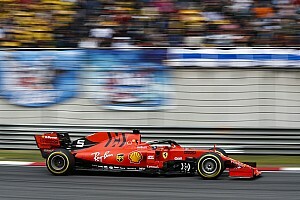 Despite showing considerable promise, the team will not comment on speculation linking Oliver to a third-car in the 2004 season. Meanwhile in Finland, before starting the pre-event test, Tommi spent a couple of days at home with his family in Jyvaskyla. He's recently purchased a new windsurfer, which he's been trying out on the lake behind his house. Apparently he hasn't been to his summerhouse recently because it's too hot at the moment! Temperatures in Finland have been as high as 31ºC for the last few days and Tommi says he prefers to spend time at his summerhouse when it's a little cooler. Tommi is now in Finland undertaking a pre-event test in preparation for next weekend's event. Driving on gravel roads near Jyvaskyla, today is Tommi's second day at the wheel of the Subaru Impreza WRC. Petter will arrive in Finland today to take over the driving duties for the final two days of testing.